My baby is in 6th grade!? My oh my how time flies. 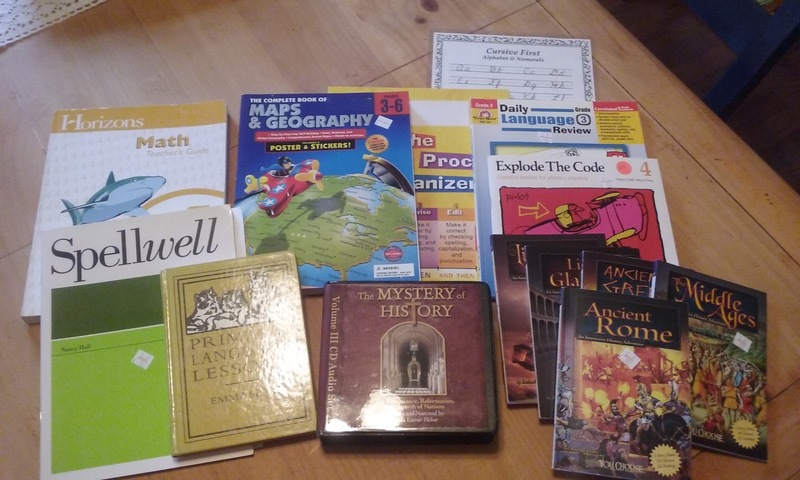 Zachary has a huge struggle with writing and reading however his dyslexia has improved greatly over the last 2 years so we are going to incorporate a lot of different language options into our days. English/Language is a great variety for two reasons. 1 to keep him from getting bored, his attention is something I struggle to keep in subjects he finds difficult and feels he can't do well and 2 I thought it was a good approach to give a well rounded curriculum for his needs. We will be using Primary Language lessons, Explode the Code and Daily Language Review. Spelling is going to start out with Spellwell however I am very scared of not staying with All About Spelling 2 (I do currently own it as a backup) and or getting All About Reading 3 just going to leave that completely out there for when and if I change depending on the ability of my son. Writing is going to be very relaxed for the first little while of our school year and we will be using WriteShop prompt cards. Geography is something he requested. He will be reviewing states and capitals while discovering reading maps. History. We are moving right along with Mystery of History 3. Can't wait to dig in, this is actually my favorite! Bible is done daily before school begins because I want this to be applied to his life not to school. Science will be a huge mix of a lesson on a different topic each week with hands on labs sprinkled here and there. More of a lapbook/notebook style this year. Reading will be a lot of choose your own books, they spark his interest. Zachary will be helping with building/mowing and projects that his dad needs his help on and he will be learning cooking skills each week and preparing one meal.